Each carefully welded step builds upon the other. 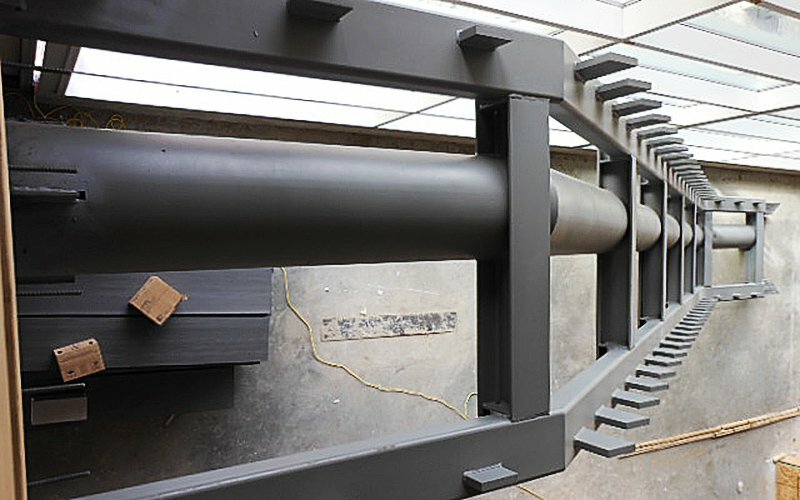 We live and breathe the words of steel stairs: spindle, balustrading, bullnose step, flight, landing, nosing, pitch, riser, tread. You want an egress staircase to move people from A to B, and sometimes you want steel stairs to look monumentally eye catching. 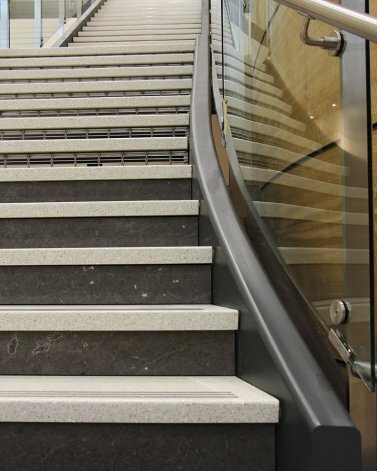 Years of steel stair design experience are here for your commercial construction project. 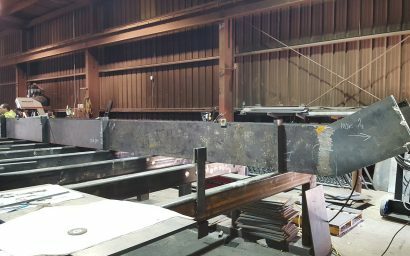 Steel stairs are a crucial part of the construction process to keep things moving; that’s why we prefabricate steel stairs to ship nearly complete for faster install. Any style or functionality of metal stair and stair support you need is here. 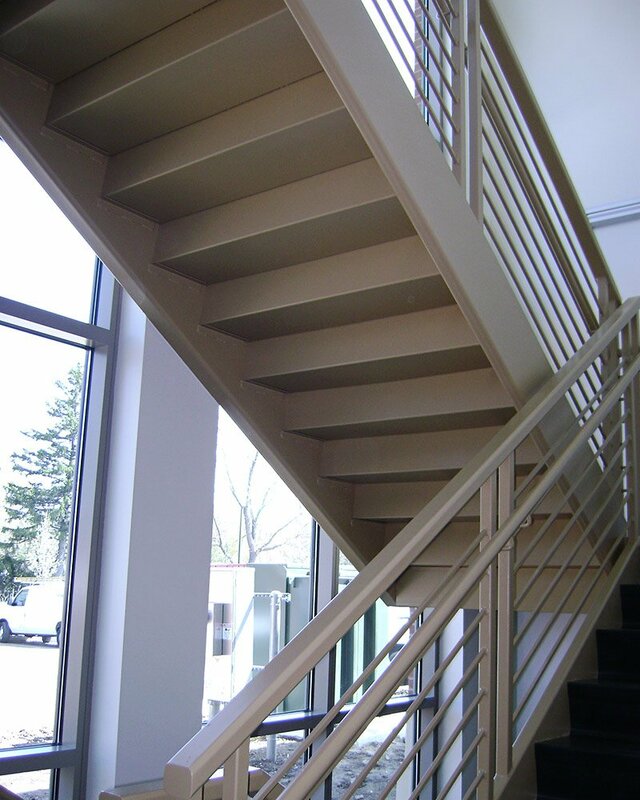 Whether you need 10 or 50 steel stair flights, we assist you with suggestions, innovations, and specifications. Give us your biggest steel stair challenges. Monumental stairs are an eye catching feature that shape and influence the arrangement and organization of open space. A monumental stair is an area where the architect’s imagination can run wild. The stairs may have unique treatments of decorative stone, intricate curves, and endless styles and textures. 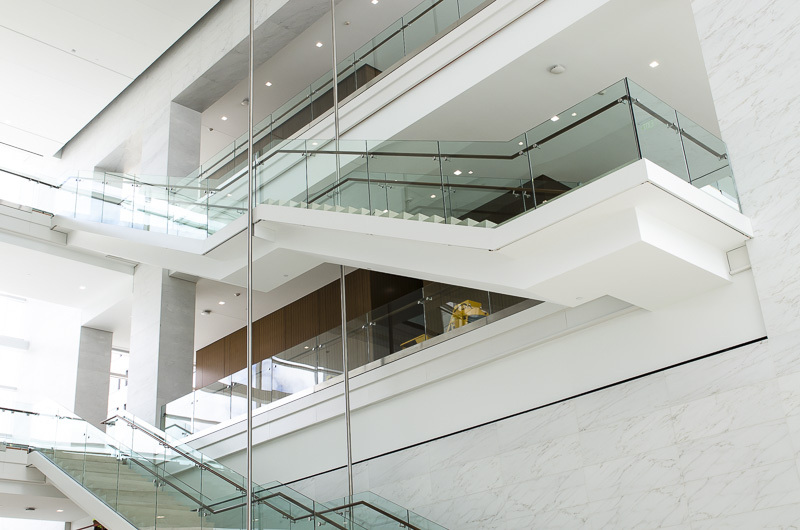 It takes a stairs expert to ensure any idea meets safety and code requirements. These requirements become of greater importance as the stairs spire higher, as each stair riser affects the next. 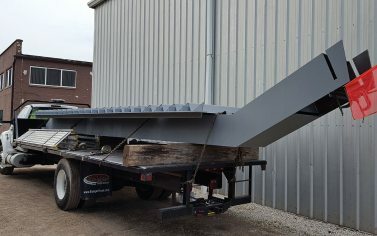 Whatever stairs you need fabricated, you can get: alternating tread, roof ladders, loading dock. Ask for a full miscellaneous metals package. 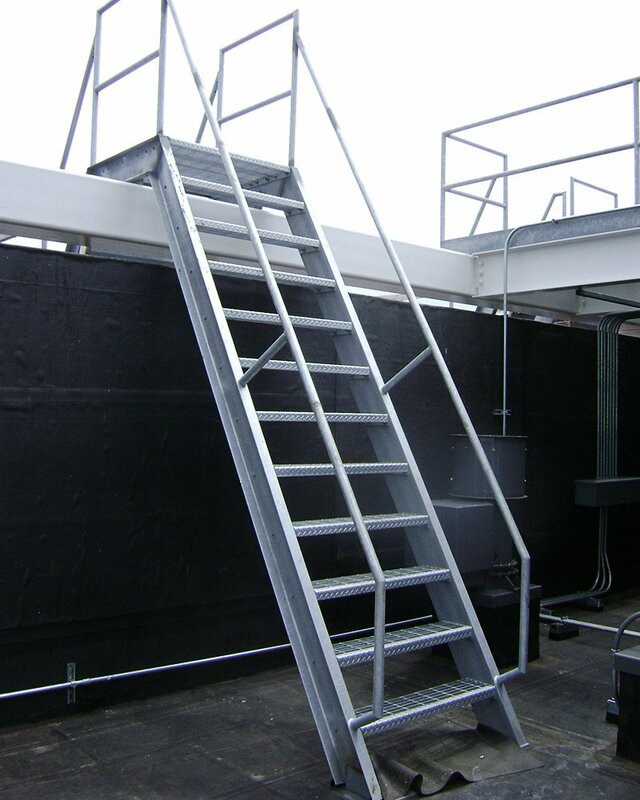 If you need temporary safety stairs for a job site, ask for prefabricated modular stairs. Setup this option in minutes, and in sections versus pieces. 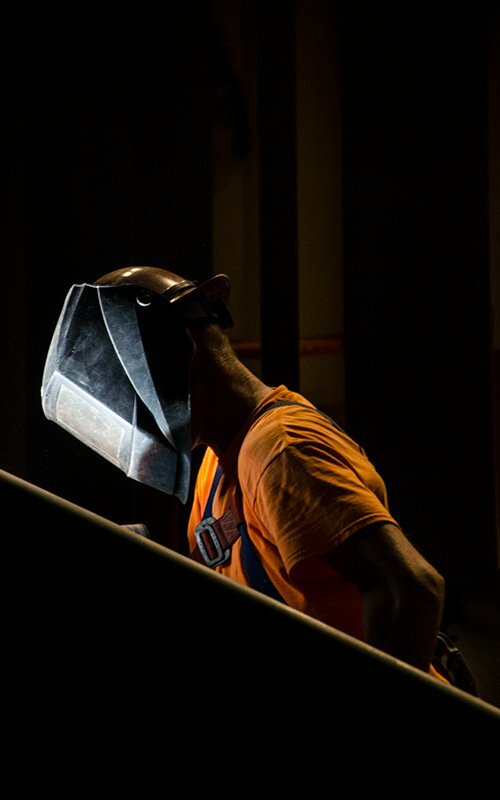 We can help identify the best approach to ensure stair safety of construction workers and occupants. Stairs are a necessity for safety codes, but can also be a safety hazard for falls or a quick emergency exit. We’ll take the building, aesthetics, safety, stair calculations, and end use into consideration. Our dedication and concern for safety provoked us to offer GBC Safety Glow photoluminescent products as an instant complement to stairwells. Read more about GBC Safety Glow and its benefits for emergency preparedness. Everything from start to finish to keep your budget and steel stairs in line. Safety is #1 in construction. 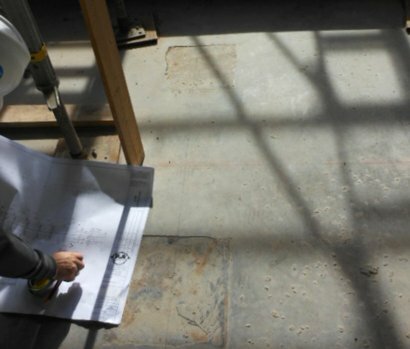 An understanding of the needs of all trades helps get steel stairs in place with efficiency. Certified installers available in the Wisconsin area. Installer training available nationally. Visualize and be confident of the end result, Make modifications before fabrication. We can get tolerances down to under a quarter of an inch. Inhouse means having control over the process. 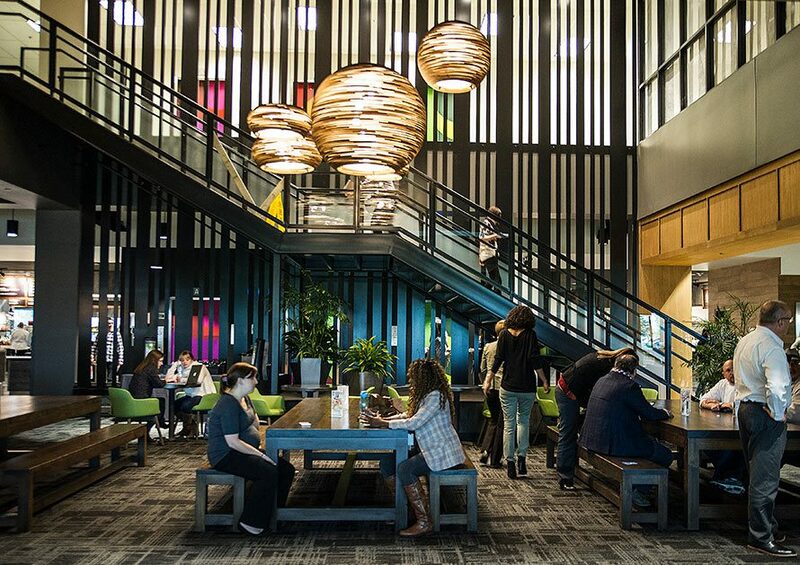 Eliminate surprises ($$$) with forward planning and prefabricated stairs. Large welded sections can be made for install that intuitively matches plans to sections for easier install. Field labor is expensive, and trying to figure out what is what is frustrating. That’s why welding as much as possible is best.